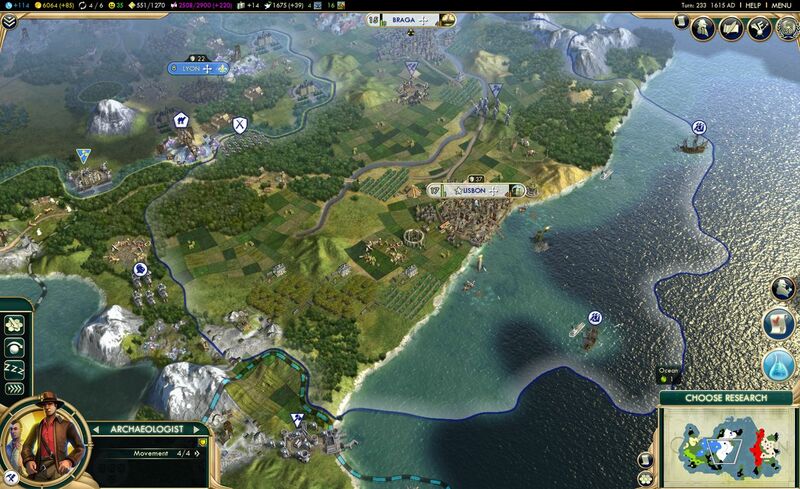 Excited about the latest Civilization V: Brave New World? Check out some of our previous Civilization features! The latest expansion for Civilization V, Brave New World, launches tomorrow for all those eager to once again take over the world through commerce, science or military might. So to celebrate, we've dug through the archives of the Escapist's own Great Library for some of our past features and columns that talk about one of gaming's greatest strategy series! Interested in learning more about the series founder, Sid Meier, or how playing the game inspired one Escapist contributor to learn more about human history? Check them out below! As you enter the understated Hunt Valley, MD, studio that houses Firaxis Games, it feels like any other office. Only after you pass the front desk and see the display case overflowing with 30 or so gaming achievement awards does it really hit home: This is one of the pillars of the gaming world. The casual feel of the studio mirrors the man responsible for its existence, Director of Creative Development and co-founder Sid Meier. Despite the legendary game designer status and a cult following to every game that bears his name, the man is as down to earth as it gets. One of the most venerable series in gaming, Civilization, has dealt with religion in every installment. However, the way the game has incorporated it into the gameplay has varied greatly with each game. Alan Au spoke with several key people involved with the series to illuminate the role of religion in Civilization. I was 19 when Sid Meier's Civilization came out and it quickly became an obsession for me. I drew my maps, made spreadsheets of units, charted different tech paths, and sat through many a college lecture thinking about my "next turn" when I should have been taking notes on Boyle's Law or the customs of the Yanomamo people. Eventually I thought, "If I'm going to be spending so much time thinking about chariots and the Sistine Chapel and Abraham Lincoln, maybe I should at least be doing it in classes that are actually about those subjects." One quick trip the registrar later and I was officially a history major.